Yesterday I stumbled upon something new - The Plastic Number. This does not refer to the recycling numbers (1-7) on plastics items, but instead is a mathematical constant. 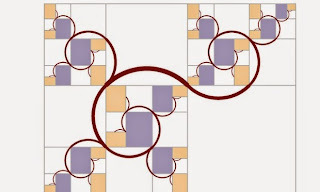 Given the symbol P, it is an irrational number, P = 1.324717957244746025960908854... It's closely related to its more famous cousin, the Golden Ratio, φ = 1.6180339887498948482...For instance, the Golden Ratio squared is equal to the Golden Ratio itself plus 1. For the Plastic Number, the Plastic Number cubed is equal to the Plastic Number itself plus 1. The Plastic Number was first extensively studied by Gérard Cordonnier in 1924 Gérard Cordonnier in 1924 and then later by the Dutch architect Van der Laan. But all this raises the question of how/why was this number given the Plastic name? Back in 1924, the word was still being used in its traditional sense of "moldability", but I don't see how that can possibly be applied here. The number P is fixed. I'm going to have to do some asking and digging on this as I'm very curious. 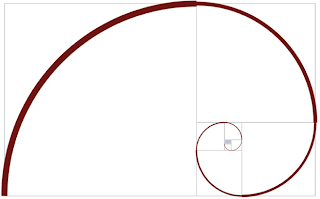 Golden Spirals are common in nature, such as in nautilus shells, but I don't recall ever seeing any naturally occurring Harriss spirals. 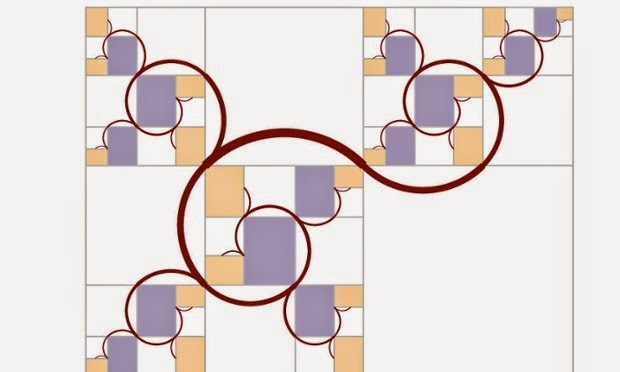 But now that people know the spirals exist, perhaps someone might find one. It would be ironic if it occurred in a synthetic polymer, wouldn't it?